Home SEO Top 18 FREE SEO Tools That Actually Helps To Grow Your Business. Have you ever thought of the number of blogs people post each day? Well, there are around millions of blogs posted every day.It is very difficult to make up to the front page of the google posts. Search Engine Optimization helps you to achieve a listing in the top page. Search engine optimization optimizes the online content that you want to post so that search engine like to show it as the top result for search of certain keywords.When it comes to search engine optimization, there is you, the search engine and the searcher. If you have an article about how to make something, you want the search engine to show it as top results to anyone who searches the same sort of phrase. Sometimes it is very difficult to master Search Engine optimization especially when you are the beginner. Various search engine tools are available which helps you to do search engine optimization. Some of the Search Engine optimization tools have listed below which are also recommended by 30 SEO Experts. You don’t need to try all of these but you should find best for your blog or store. 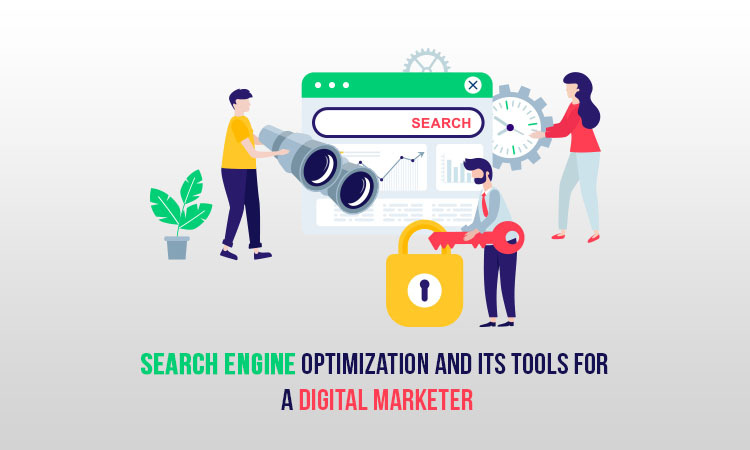 Generally, Search Engine optimization tools are used to optimize various topics such as Keyword Research, Content optimization, Backlink Analysis, Technical SEO, Rank Tracking and link Building. Website optimization is very much essential and an ongoing process. It helps you to bring more visitors to the website. Some of the SEO tools for digital marketers will help you to do Search Engine Optimization in a Better way. Here is the list of some top seo tools free and paid both. Some of the Free Version Tools. It is offered for free to everyone with a website. It is a search console by google that lets you to monitor and report on your website’s presence in google SERP. you only need to do verification of your website by adding some code to your website or going through Google analytics and you can submit your sitemap for indexing. Although there is no need for search console account to appear in Google’s Search results you can control what gets indexed and how your website is represented with this account. As an SEO checker tool, Search console helps you to understand how google can optimize for better performance in google Search results. Marketing SEO tools like SEMRush tend to be fan favorites in the SEO community. It is loved by various Experts. It allows you to assess your rankings and changes to them as well as new ranking opportunities. One of the most popular feature is Domain VS Domain analysis. It allows you to compare your website’s search data, traffic or even competitors. You will be able to compare keywords and domains. The Onpage SEO checker tool allows you to easily monitor rankings as well as gives some recommendations on how to improve your website’s performance. An SEO Keyword tool like KWFinder helps you a lot. It helps you to find keywords that have lower level of competition. The experts use this SEO tool to find the best Keywords and run analysis report. It gives report on Backlinks and SERP. their rank tracker tool helps you to easily determine your ranking while tracking your improvement based on one key matric. Sometimes it is not enough since you will get ton of new keyword ideas to help you rank your website even higher. Ubersuggest was developed by Neil Patel. It is a keyword finder tool that helps you to identify keywords and also the search intent. It does this by showing the top ranking SERPS. From short phrases to long phrases, you can find the right terms to use on your website with hundred of suggestions from this free great keyword tool. It includes metrics like keyword volume, competition, CPC, and seasonal trends. It is great for both organic, SEO and paid, PPC teams this tool can help to determine if keyword is worth for targeting and how competitive it is. It is a free SEO tool. It allows you to easily find the topics to write about ecommerce website. It is the tool which allows you to create content around specific keywords to better rank online. You can use this free SEO tool to create content around for keywords like fitness, yoga and many more. It is great for finding featured snippet opportunities. If you hire a freelancer to create content for you all you need to do is download this list and send it to them. Spyfu, it does have amazing premium version, and many of experts like their free features. If you are just starting, you can easily grow into the paid features as you start succeeding. You can easily find the number of keywords searched each month or determine the rank of the keyword. You can also do some reasearch on your competitiors to determine which keyword they use. SEOQuake, is the tool which is best among all. It is the chrome extension acts as an SEO checker tool that performs on page site audits, it assesses both internal and external links while also doing website comparisons. It helps you to determine your performance against competitors. Screaming Frog SEO tools online. It is one of the best SEO tools available online. 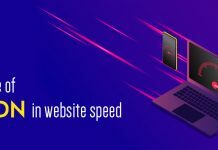 It is loved by experts since it allows you to analyze your website superfast to perform site audits. People says, it has good speed than many other SEO tools available. It is the tool which informs you about duplicate content, errors to fix , bad redirection and areas to improve for link building. SEO spider tool is the best feature. 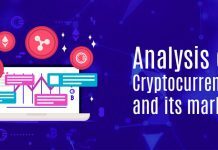 It is the top SEO analysis tool, Woorank has both free and paid versions to track and report about your marketing data. You can plug in your competitors and find about the keywords they are using so that both of your keywords don’t overlap with each other. It tries to report on how keywords perform over time and to understand your industry and optimize for the user in the best way possible. Majestic is one of the best marketing SEO tools as per experts. It has various features like the Majestic Million. It lets you see the rank of top million websites. A feature like Site Explorer allows you to easily see a general overview of your online store and number of backlinks. It works with SEO keyword tool that allows you to find the best keywords to rank and also have features for site comparisons and tracking your site’s rank. Rayn Scollon, SEO Consultant at RyanScollon.co.uk recommends using SEO tool Majestic. According to him, his favorite feature is which allows you to check backlinks of the website, also feature where you can add your client’s site and also a Bunch of SEO metrics. It is best among free backlink checker tools. regarding keywords but also it offers great insight into trends around the topic. It is quite hard to find suitable keywords in any country and receive information around it like top queries and many other. If you are not sure about the keywords to use, Google Trend is quite good to use. Siteliner is a tool which is used to find duplicate content on your website. Here Duplicate content means identical content to other websites and Google penalizes the websites with it. With Siteliner, SEO Analysis Tool, you will be able to scan your entire website to find duplicate content, broken links and average page size and also speed and its number of internal links per page and much more. It also compares the website to an average of websites checked with Siteliner to make you better understand about your stand. If you wish to use more advanced SEO tool, you might want to check CORA. it has the features like Site audit, it doesn’t come cheap but they are about as comprehensive as they get. If you have a medium sized to large sized business, this type of SEO tool will help you to better understand areas of weakness and opportunity for your website. DeepCrawl, A website crawler that analyzes the architecture of the website to monitor various issues to improve Search engine Optimization(SEO) performance. It helps to track technical issues that forbid website to perform better in SERPs. Once crawling is done, it provides a detailed analytical report on all organic landing pages and also broken and missing organic landing pages. These results can be used to optimize landing pages to increase the site’s ranking, visibility, and sales. Some of the paid version tools. Ahref is the best tool for backlinks. It is the competitor research tool and seo backlink checker. Backlinks help to improve organic ranking and results in effective indexing, you can use this tool to find a number of referring domains like .gov, or .edu sites links to our websites and the number of unique links in them. This tool is also used for checking the density of anchor text and to find the broken links and it has another effective feature called ‘Content Explorer’ which is useful for content marketers. Ahref: offers a 14-day free trial. Various subscriptions are available. We know that keywords play a major role in Search Engine Optimization. Wordstream is the best among keyword research tools that functions better than Google’s as it provides accurate keywords suggestions and estimates volume. This tool is beneficial to find high volume and low competition keywords, keywords phrases, negative keywords and many more. It is available as both free and paid Version. SEO Chrome extensions like Fat rank allow you to analyze your website’s performance. It is SEO Keyword tool which lets you know the ranking of your keywords. You can add keywords to your search to find out what is the rank for results of the top 100. It will tell you that you are not ranking for that particular keyword. Moz helps to improve rankings one step at a time. This is an excellent tool for research purpose and tracking SEO. there are different innovative data types and metrics in this tool. It also helps you to understand how search engine views your site. How can you improve your rankings. It gives best link data and keyword suggestions. It has tool or researching popular search trends and also has an SEO Audit tool called SEO tool Bar. It comes with a free trial and MOZ Pro and then you have to suscribe. The best SEO tools on this list aren’t enough, they are going to help you in the best way and will make it easy to understand how website’s optimization can be improved but they aren’t going to work for you. You have to put the effort in the work to get the results you want. It means producing content that is SEO optimized. If you are on a budget most of these tools have free features or trial with which you can play around with. SEO tools are like mentors telling you what you need to improve on. If you follow its suggestions you can skyrocket your growth, you will be succeeded. Your motto should be to see your website at the top of the first page of Google, Bing or any other search engines. You can get the best result.